Thomas Roofing is a family owned and operated business with an amazing track record for providing outstanding quality and service. Customer satisfaction and a properly installed roofing system is our goal on every job, we guarantee you will be satisfied. Thomas Roofing employs an excellent team of experienced technicians who have the knowledge to properly handle any type of roofing needs. With over 35 year experience Thomas Roofing is the natural choice for all of your residential and commercial roofing needs. Owner Rick Thomas started roofing in the Valley right out of high school in 1977. Starting as a laborer he worked his way through the ranks, gaining hands on experience as a crew foreman, superintendent, general superintendent and eventually Vice President of Production for one of the largest roofing operations in the southwest for 10 years before going into business for himself in 1998. He has served as Director and Secretary/Treasurer for the Arizona Roofing Contractors Association as well as serving as President of the Tile Roofing Committee. 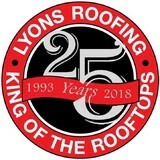 Ricks’ knowledge, experience and commitment to quality is unmatched and continues to make Thomas Roofing a leader in the local roofing industry. Serving Arizona Statewide Fully Licensed Triangle Roofing Company's proven with integrity and longevity as a fully licensed Arizona roofing contractor. As a premier Scottsdale roofing company were committed to be the leader in the Arizona roofing industry statewide. 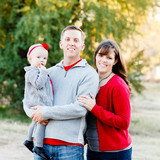 Triangle Roofing Company is certainly recognized as a fully licensed Arizona roofing company. Serving Scottsdale and surrounding communities of Carefree, Cave Creek, Fountain Hills, Paradise Valley and Phoenix roofing for residential services. 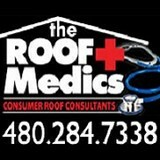 Plus our Commercial Arizona roofing contractor maintenance services are available statewide. Our Scottsdale roofing professionals have been installing all roof types with quality materials for your flat and pitched, metal, tile, copper, foam and roof coating systems statewide since 1993. This is our mission directly from our Scottsdale Roofing headquarters. Craftsmanship-oriented roofers ensure outstanding performance through highly skilled roofers. 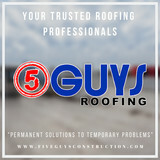 Using our technologically advanced techniques may help make us your roofing company or contractor for years to come. Roofs and gutters are two home elements that, when they do their job, go unnoticed. But when they malfunction, they make their presence known in a hurry — that’s where knowing a good Scottsdale roofer comes in handy. Hire the right roofing company in Scottsdale, AZ to install, repair and maintain your roof and gutters, and you’ll ensure that these essentials perform at their peak. What do roofing companies in Scottsdale, AZ do? Your Scottsdale, AZ roofing contractor can install a new roof or repair an old one, as well as repair and replace gutters. Good roofers in Scottsdale, AZ should be able to promptly inspect roofs and gutters to assess damage after a natural disaster or other event, and give you an estimate for the necessary roof repair immediately. Some Scottsdale roofing companies specialize in specific types of roofs, such as tile or metal, so make sure the one you are interested in works with the materials you have or desire. Find a Scottsdale roofer on Houzz. Narrow your search in the Professionals section of the website to roofing companies in Scottsdale, AZ. If you’re planning a large-scale project, find other professionals on Houzz who can help get the job done. Here are some related professionals and vendors to complement the work of roofing & gutters: General Contractors, Specialty Contractors, Siding & Exteriors, Door Sales & Installation, Garage Door Sales & Installation.